alexander123 I am re-activating this expired deal. I will update it and validate that it works. 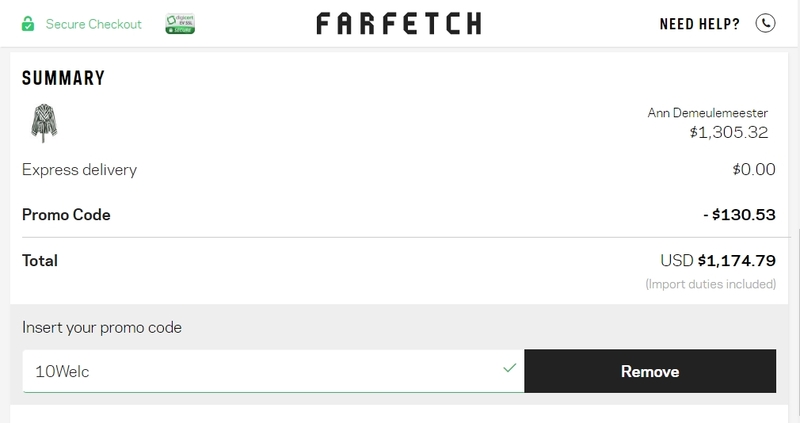 Use code 10Welc to get 10% off your order at Farfetch. 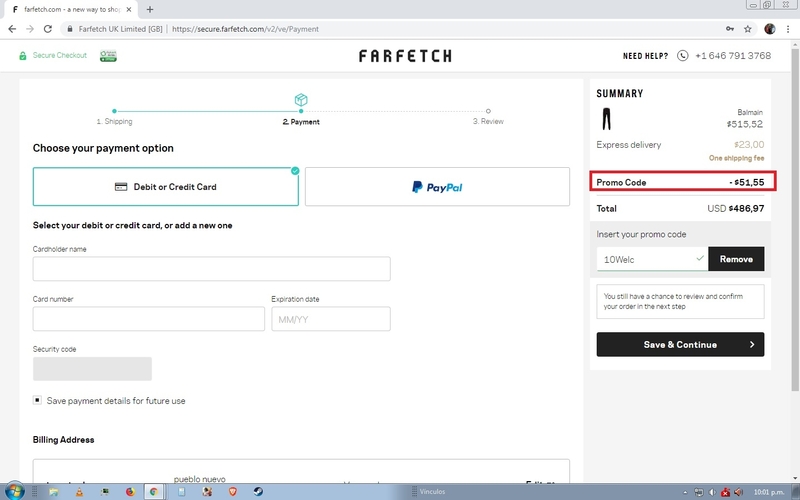 brandon lee camargo suarez Get 10% off your order at Farfetch. 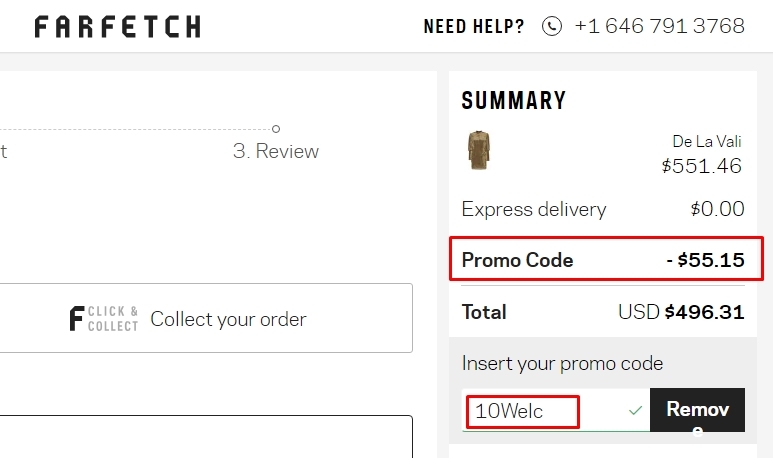 Use the coupon code 10Welc to claim your discount. Exclusions may apply to this offer. 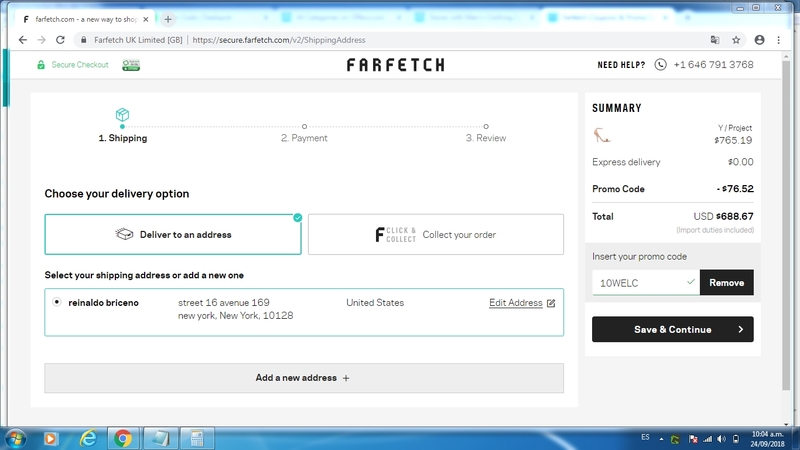 Yenyen As of 07/19/18, I tested this promo code and verified that it works as described. Exclusions apply. Jefferson Mendez I am validating that this deal works as described. 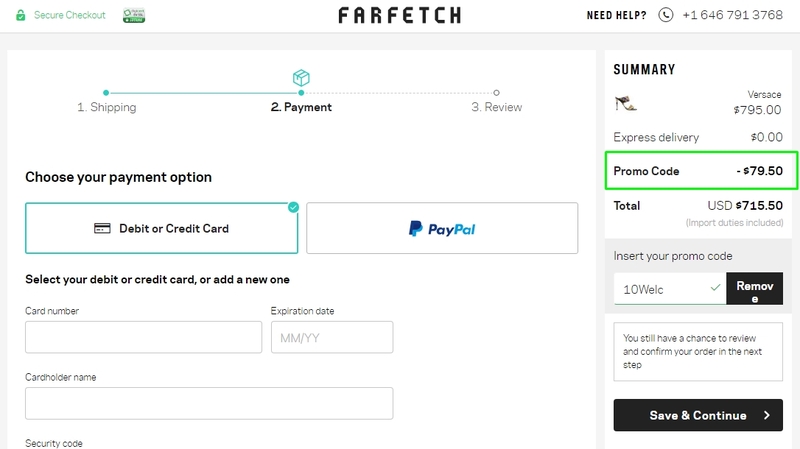 Enter code and Get 10% Off Your First Purchase of Full-Priced Items at Farfetch.